Buddy found his way into our hearts over the course of the past decade. 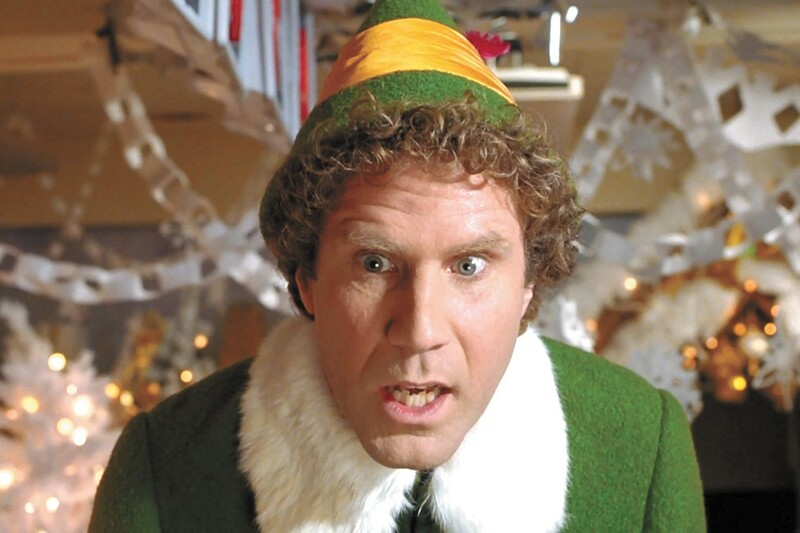 It's been a decade since Will Ferrell reluctantly tugged on a pair of tights and poured syrup on a plate of spaghetti, thus giving us Buddy the Elf. Before its release, some of us will remember the saccharine box-office-pandering with which Elf was marketed. If the film was a total disaster, no one would have been surprised. Ferrell, just a year separated from his career-launching SNL stint, was recognizable, but hardly the sort of comedic vehicle he is today. There was no sign that this thing was going to work. It not only worked, it managed to become a holiday classic — one that that no film since, and just a few before, have been able to match in popularity. Ten years later, the film is part of the holiday viewing canon, right alongside Christmas Vacation, Rudolph the Red-Nosed Reindeer, A Christmas Story and — dare we say it? — It's a Wonderful Life. It's never easy to call anything that's originated during your adulthood a "classic," but it's becoming an increasingly easier argument to make as the years slip by. If you brave the mall this week and go stand within 10 yards of Santa and his line of admirers for 10 minutes, you'll undoubtedly hear someone yell, "Santa! I know him!" And those Elf-themed Christmas parties — some of which actually serve the sugary spaghetti — may someday put the ugly sweater industry out of business. The film itself holds up. Hell, it features performances by Ed Asner, James Caan, Bob Newhart, Mary Steenburgen and a doe-eyed young woman named Zooey Deschanel. And it's directed by Jon Favreau, who five years later would find a gold mine in the form of Iron Man and is now one of the top names in action films. The story was gold from the start — a guy grows up thinking he's one of Santa's elves only to find that he has a family in the real world, forcing him to rethink everything he knows about family, food and the world's best cup of coffee. Don't forget, too, that you only had to look at Ferrell in those tights and that hat to get a laugh.